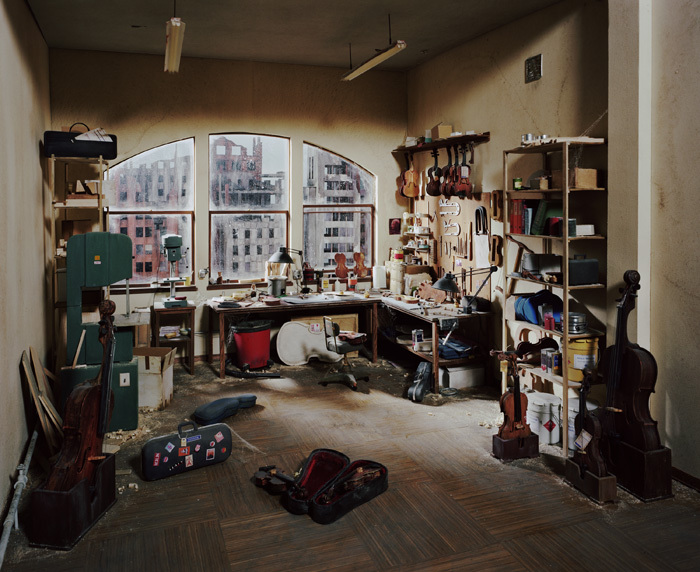 We just received a print of Lori Nix’s newest piece, Violin Repair Shop, 2011, for a sale and it’s absolutely stunning. You feel like you could actually enter the scene and handle the tools sitting on workbench. We currently have Bar, 2009, up in the gallery, so stop in if you’d like to see Lori’s work in person.